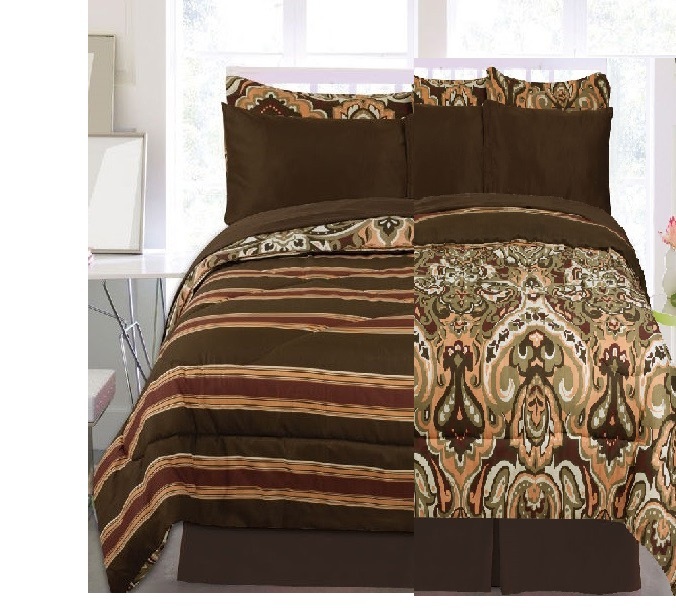 This reversible comforter set can change how the bedroom looks at a whim. It features a sage, coral, chocolate, and burgundy pattern on one side and a striped pattern on the reverse side that will make a room look classy no matter which side you choose. Sometimes, motivation can take the form of a modernized bedroom! 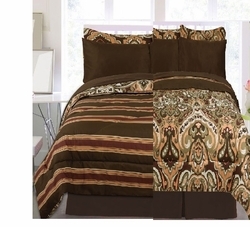 - 1 Reversible Comforter 66" x 86"
- 1 Reversible Comforter 76" x 86"